Brace yourself for the Uprising update, coming in September for Revelation Online! You’ve battled for resources on Starshatter Island; put the bitter rivalry between the Ursids and the Wingars to an end, and made yourselves a new home. Now it’s time for new challenges! Being the main battlefield during the war of the five Wardens, the Altar of Swords seethes with an almost palpable aura of hatred, making it stifling to ordinary mortals. 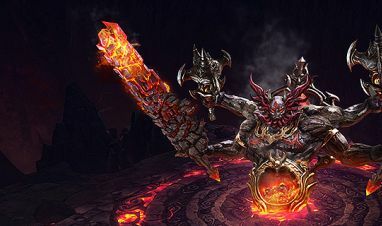 According to the legend, the soul of Monethir - founder of the Blademaster School - still roams the Altar of Swords, waiting to pass on his sword techniques to those who prove themselves worthy. Do you have what it takes to reach the core of the Altar of Swords, challenge Monethir and reap untold rewards? Only you can find out! For those who prefer to remain in the shadows, we have some great news! The Assassin class is expected to make its way to Nuanor in November. 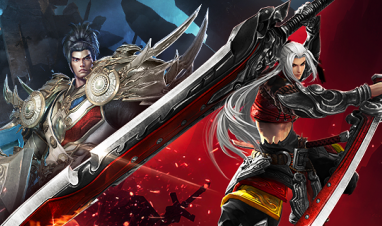 Get ready to experience Revelation Online like never before! Until then, see you in Nuanor and stay tuned to catch the latest news about our future updates! We kick spring off with our new update, bringing you a new server, the cross server feature, and German and French localization! The Uprising update is now live – climb to level 79, storm the altar, and collect all manner of amazing mounts and rewards!